EOTech Clones – Are Knock-Offs worth looking at? EOTech introduced its holographic red dot optics and immediately became the one to beat when it came to low light and close quarter battle situations. The optics have since been used by defense and police outfits worldwide. 1 EOTech Clones – Are Knock-Offs worth looking at? 2 What are holographic sights and what can you expect from an EOTech clone? 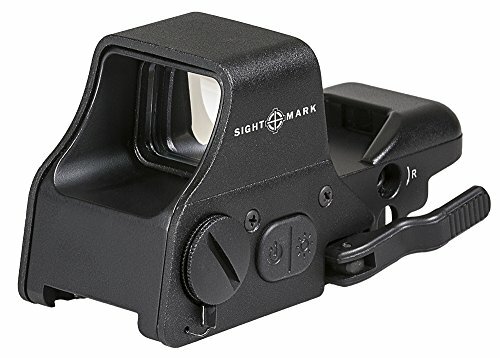 4.1 What is the difference between a red dot and holographic sight? 4.2 Does EOTech have a lifetime warranty? That’s why we thought to have a look at alternatives or clones. How do they hold up considering you can get them much cheaper? Is the high price on an EOTech justified when you’re not using it in your occupation? Over the years many holographic sights have hit the market and tried to come close to the gold standard offered by EOTech. As you would imagine, there are good ones and not so good ones. We have a look at some better ones that are affordable yet offer excellent performance that comes close to the EOTech optics. 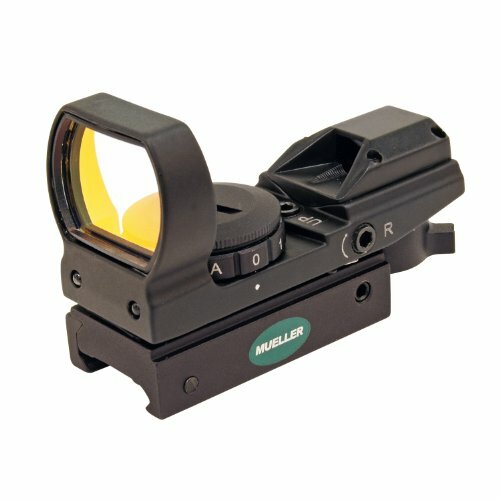 These sights overall have received great feedback from customers and are affordable or even cheap while offering exceptional performance for you the shooter. But, before we go into details on these sights, let’s have a look at what makes a holographic reflex sight. What can you expect from one? What are they good for? Let’s find out. What are holographic sights and what can you expect from an EOTech clone? Holographic sites like the EOTech ones are technological masterpieces. While not offering any magnification, they provide a depth perception you will not get with other types of sights. This is because a true holographic site has a 3D reticle. It is etched into the holographic plate of the sight. That plate is sitting between two windows. Lasers are used to illuminate the reticle. The overall setup is quite complicated and provides superb depth perception and speed of target acquisition. While there is no magnification, you often get a zoom capability with these types of sights. This allows for precise target acquisition across longer distances. While the end product of this technology is merely superior to any other sight, you can imagine that it is expensive to design and manufacture such a marvel of technology. For anyone not requiring this latest in technology for your safety or your day job, this sight might be overkill. Simpler and cheaper clones of these systems offer less technical advancements compared to true holographic sites. For most uses, these sights are perfectly fine. The primary technical differences are that those lower-cost clones either are simple red-dot sights or reflex sights. The low cost is prohibitive to using true holographic technology. Reflex sights offer an experience that is closer to a holographic sight compared to simple red-dot optics. Both types of sights also usually use LED instead of lasers. The latest improvements on LED’s provide closer performance to lasers than first models did. Let us have a closer look at the different EOTech alternatives in the following sections. The Dagger Defense is an affordable red dot reflex sight. Even though it’s priced on the low end, it does not lack quality. It’s built to endure rough conditions in the field without falling apart. The main assembly is manufactured from aircraft grade aluminum which makes the sight sturdy while still being lightweight. The Dagger Defense sight is built around a square window. A red or green dot is used to illuminate the target itself. Besides the color settings, you can also switch between two reticle settings. You can also adjust the brightness by various steps from very dim to brightly lit. The optic is overall small and lightweight and therefore could even be mounted on a large handgun that has space left on its Picatinny rail. Otherwise, it’s a great sight for a shotgun, rifle or specifically an AR15. The sight offers several adjustments including elevation and windage. You can adjust both settings with an Allen wrench. All other modes are selected with the rotary knob on the side or the switch on the rear which lets you pick the reticle. The knob also has the compartment for the CR2032 battery required for this optic. If you are looking for an affordable optic that is built sturdy and holds zero even with a heavy recoil, then the Dagger Defense is a superb choice. In our opinion, it’s the overall best EOTech knockoff you can find for the money! The Burris Fastfire III is a more sophisticated and more expensive sight compared to the Dagger Defense shown above. You’ll get the highest quality and top-notch visuals with this sight. Pricing is somewhere between the cheap EOTech clones and the EOTech sights itself. You will get better glass, imagery and in some respects, better features compared to the cheap knockoffs. 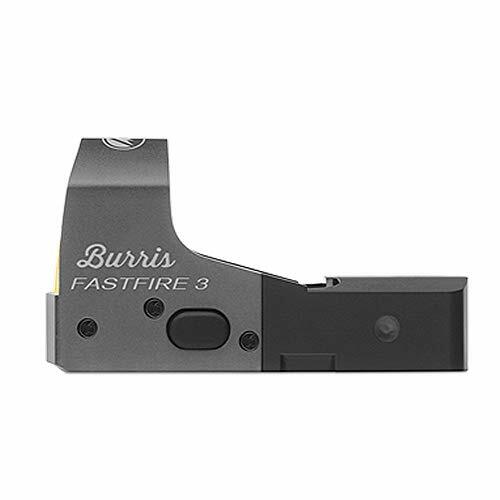 Particularly the ease-of-use on the Burris Fastfire III is outstanding. You can adjust Windage and Elevation without tools while many of the more inexpensive sights (e.g., the Dagger above) require tools for the adjustments. The Burris 300234 offers a 3 MOA dot which is an excellent match for rifles. The Burris 30236 model has an 8 MOA dot which matches better with shotguns or handguns. The larger dot is better suited for quick target acquisition on short ranges. You can easily adjust the brightness of the dot. The sight provides three different settings. You can also use the automatic brightness adjustment where it automatically changes depending on the surrounding light conditions. The optic has an automatic shutoff after 8 hours, and the battery life is a decent 5 years with average use. This is a sight that’s a step up from the cheap clones of the EOTech sights. It comes with top-notch material and construction and won’t let you down in the field. Overall, a great sight if you want to invest some money. Can have a hard time to mount if you require shorter screws, etc. The Mueller Quick Shot is another excellent EOTech alternative that offers a lot of value. It’s built slightly different compared to the other sights we showcase here as it has a very thin frame. This makes it a great optic if you are using the Bindon Aiming Concept. You’d be using both eyes open for aiming, and the thin frame helps to reduce distractions in your field of view. Mueller advertises this particular optic to be for Turkey hunters and for archery. However, it is an excellent sight on pretty much any kind of rifle including shotguns. It’s built from top-quality material and designed with the shooter in mind. An excellent feature for nearly all situations are the built-in sensors that detect the surrounding light conditions. They automatically adjust the brightness of the red dot to provide the optimal performance in any light. This can be a great feature in tactical situations where the surrounding light can change in an instant. There’d be no manual change required. However, depending on your requirements you might prefer to adjust manually, so the brightness of the dot matches your desires. In that case, you have the option of 10 manual brightness settings on the Mueller Quick Shot sight. You also can choose between four different reticle styles to adjust the sight to your needs. This versatility combined with the outstanding optics makes the Mueller Quick Shot a great alternative to an EOTech sight. The sight is innovative, affordable and very flexible in its use. The Sightmark Ultra Shot Plus is a reflex sight that is probably one of the overall best Eotech alternatives you can find. It’s more affordable than the EoTech yet is not a cheap knockoff. It’s built sturdy with the highest quality materials. Sightmark constructs the tube of the sight out of aircraft grade aluminum which provides sturdiness while staying light. On top of it, the Sightmark sight is water resistant and shockproof. It holds up to even the heaviest recoil without the risk of losing zero or stopping to function. One significant advantage of the Ultra Shot is that it is super-easy to mount and unmount. It comes with a quick detach throw lever that makes it a breeze to put on and off a rifle. All controls for brightness, elevation, and windage are easy to use and readily available. You can adjust both windage and elevation with an Allen screw which prevents any accidental change of the settings. The brightness levels are set through a digital switch on the side. There are overall five levels of brightness. There’s another lever at the rear that allows selecting between 4 different reticles. Being able to choose a reticle and brightness level for any shooting situation is a great feature. The Ultra Shot Plus also can switch between a red and green reticle/dot. The optics themselves are crisp and bright. The reticle is in the shape of a rectangular and provides a clear image of the target with the red dot sharp within the view. Based on quality and features this is one of the strongest contenders for the best EOTech clone. It’s more affordable than an EOTech yet built to the highest standards with top-notch materials. 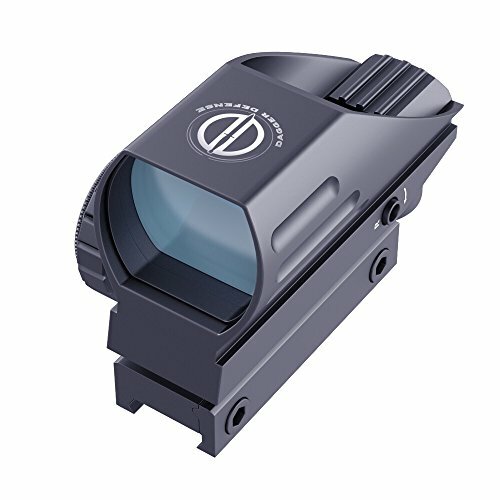 The Vector Optics sight is on the low end of the price spectrum. That’s not to say it isn’t a reasonably good optic for the money. It offers quite a few features that make for a good sight for shooting. The sight is a framed square window in a tubeless setting. It’s built sturdy enough so you can mount it on a shotgun as it can resist that level of recoil. A nice feature, similar to the Sightmark sight, is that it comes with a quick detach mount. This allows for easy and quick, yet reliable mounting on a rail with no tools. The Vector sight is constructed from aircraft grade aluminum making it overall lightweight and sturdy. It’s water-proof, fog proof and shockproof. Because of its compact build, it requires only a little space on a rail to mount it. It can switch between red or green dot and has four different reticle options. You can additionally change the brightness in five levels to adjust the reticle and dot to the light surroundings. The controls are easy to use and allow for quick adjustments when necessary. Elevation and windage can be changed with a tool but are not that easy to use or effective. This is a very affordable EOTech knock off that is an excellent choice for shorter distances and close range engagements. Don’t expect this to be a true competition for an EOTech sight or any of the higher-priced optics shown above, but it is a reasonably good alternative. What is the difference between a red dot and holographic sight? Holographic and red dot sights are different in how they are designed and how they work. Red dot sights also differ in how they work. 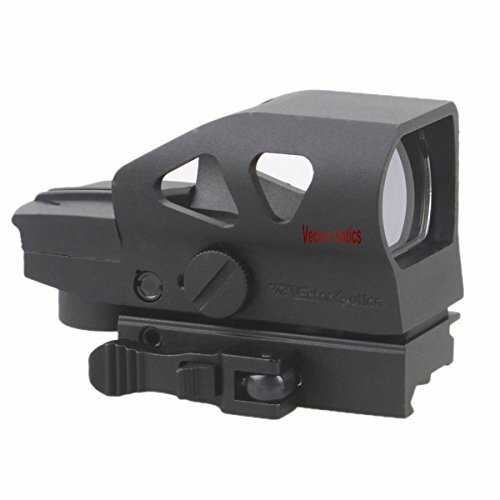 A red dot sight uses an LED to project a dot onto the sight of the target in the reticle. This works well but has its drawbacks. Once you combine it with a magnifier, the red dot usually grows in size until you have a hard time to see the target as the dot proportionally grows in size and covers part of the target. This can make it hard to take an exact shot. A holographic site projects the dot onto a usually rectangular window. It provides depth perception, and the dot does not increase in size when you use a magnifier. This provides improved targeting and better shooting performance. Does EOTech have a lifetime warranty? EOTech offers a warranty that covers craftmanship, manufacturing defects, etc. for ten years if the sight was manufactured after 2017. It’s up to EOTech to determine the cause of the issue and it’s valid for typical use of the sight. You can find more information on the EOTech warranty at http://www.eotechinc.com/hws-service-and-support/warranty-information. Some cheaper EOTech alternatives we highlighted above have at least an equal or even better warranties. Overall, there are many EOTech clones around. They range in price from cheap to somewhere around half price of an EOTech sight. If you want a cheap sight, then the Dagger Defense is the way to go. For a little more money you get a better optic, and at that moment the best choices are the Burris Fastfire III, the Sightmark Ultra Shot Plus or the Mueller Quick Shot. It will depend on your gun, shooting style and needs which of the three is best for you. The Vector Optics is an alternative to the Dagger Defense, but we overall would pick the Dagger first. 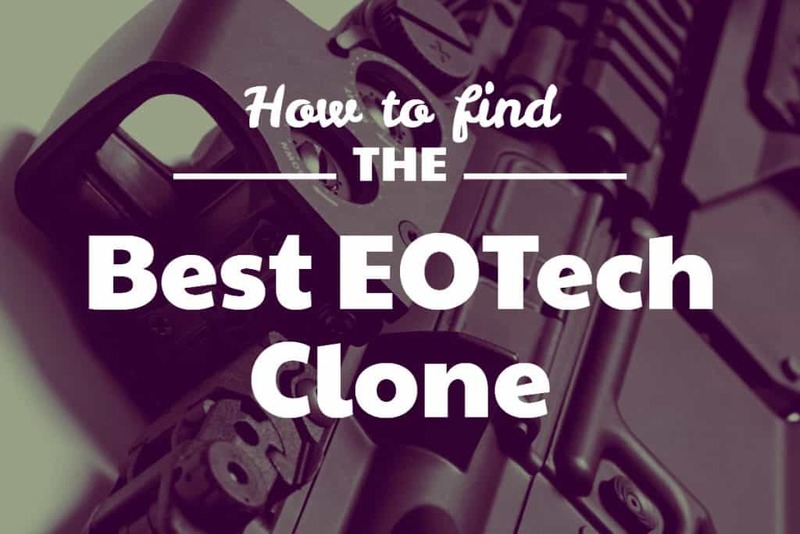 So, sorry to say there’s no definitive answer to what the best eotech clone is. There’s a variety of suitable alternatives you can choose from depending on your requirements and price range. Leave a comment below if you use an EOTech sight or a clone and share your experiences, please!